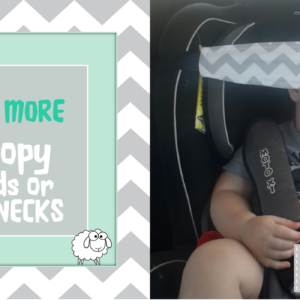 The Nap Strap is a clever head strap invention to prevent sore necks and flopping heads during car ride naps. Made from a high quality fabric that will be comfortable against sleeping heads and won’t cause sweating or heat rashes. The conveniently placed velcro makes it easy to use and a universal fit to any car seat.